A total of 64 people have been killed or seriously injured over the Easter period between 2009 and 2015. 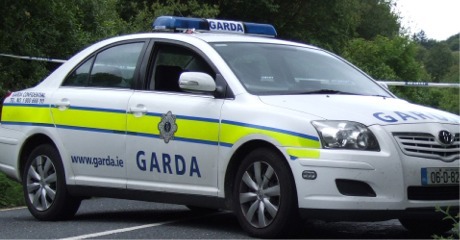 The road collision figures were released today by the Road Safety Authority (RSA) as An Garda Síochána urged road-users to be vigilant with thousands of extra people taking to the roads this Easter. The figures show that between 2009 and 2015, 17 people were killed and 47 seriously injured in collisions over the Easter Bank Holiday. Between 2009 and 2015, 17 people were killed and 47 seriously injured in collisions over the Easter Bank Holiday. An analysis of road fatalities for 2015 showed that one-in-four drivers killed (20) and one-in-three passengers killed (9) were not wearing their seatbelt at the time of the crash. Research also suggests that two out of every three people will survive a crash if they are wearing a seatbelt. Meanwhile, the data shows that 34 people have died on Irish roads to date this year - a decrease of one on the same period last year. Garda Chief Superintendent Aidan Reid said it is "incredible to believe that even in this day and age, so many drivers and passengers are not wearing their seatbelt". "They are proven life-savers, there is no other way to re-enforce that message. If you're involved in a collision, you are not just risking your life, you are risking the lives of the other people in the car," he said.